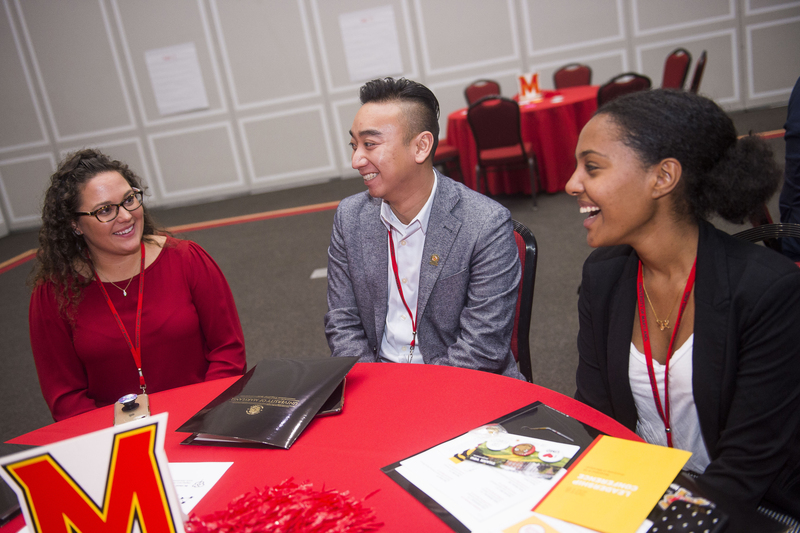 With more than 369,000 alumni, connecting Terps across the globe is no easy task. That’s why more than 450 volunteer leaders come together to plan events and programs for alumni in their network, their region and now even their industry. On November 9 - 10, the Alumni Association invited its dedicated volunteers back to campus for professional development, networking and celebration. More than 80 volunteers attended from as far as Seattle and across the DMV. The event served to empower network leaders with interactive training sessions, including radical brainstorming with the Academy of Innovation and Entrepreneurship. Volunteers met fellow alumni leaders, seasoned and newly inducted, from the Alumni Association’s more than 50 Academic, Affinity, Industry and Regional Networks. In addition to volunteer development, the event provided attendees with exclusive experiences. Volunteers got a look behind-the-scenes at Cole Field House and learned about the new Center for Sports Medicine, Health and Human Performance coming to the expanded facility. But not only did attendees look to the future -- they also celebrated successes of the past year. Amy Eichhorst, Alumni Association executive director, delivered a State of the Association address to honor the work of volunteer leaders. Eichhorst awarded Network Awards to outstanding Terp community leaders, including Student of the Year, Volunteer of the Year, Do Good Service Award, Event of the Year and Network of the Year. The conference concluded with a talk from Chris McGoff, co-founder of The Clearing Consulting Firm. McGoff shared insights on leading volunteers and some skills required to do so effectively, including transparency. After the event, Eichhorst hopes the relationships built and lessons learned will persist.